Hills, mountains and various natural water bodies define the North-East region of India. Nature lovers and adventure enthusiasts can feel close to nature and can explore the numerous sports opportunities. Government predicts there would be an increase of 20% foreign tourists to this region by 2015 and by 100% in coming 7-8 years. 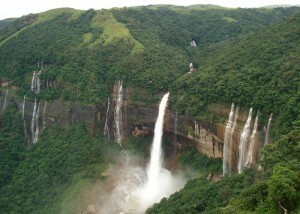 North East area received 59,000 foreign tourists in 2011, out of 6.6 lakh tourists that came to India.